A woman with bum implants says she can't sit down because it's "too painful." 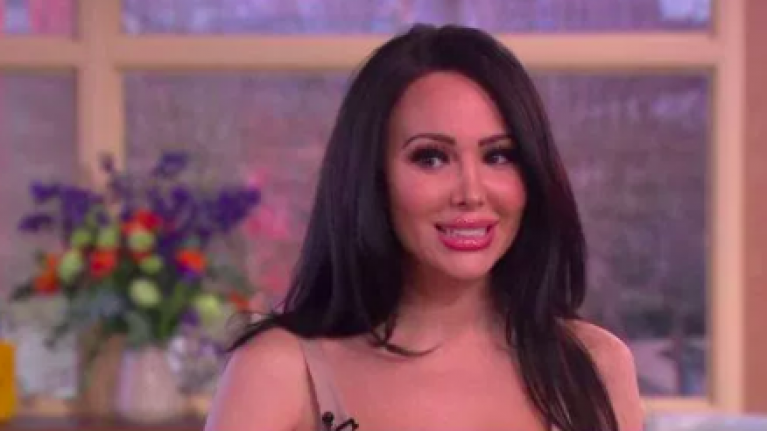 Star Delguidice revealed that she regretted the decision to have her bum surgically enhanced and that she now fears her implants will "explode." The British woman told Eamon Holmes and Ruth Langsford today on This Morning that she got the surgery 12 weeks ago and that she didn't "do much research" on the procedure. Star's interview had to be conducted standing up due to the pain her implants cause her. "The reason we’re standing Star is that you’re really unhappy with the result and it’s actually very painful for you to sit." Star said that growing up as a Jehovahs Witness shut her away from a lot of things as a child and that this decision came from never being happy with the way she looked. "I’ve never been happy with the way I looked. I used to be a size zero, really skinny, and my bum was really flat. But I do really miss my bum before. "I really did not realise what it was going to be like and it’s just caused me great anxiety. It’s insane." Star gained three stone before her surgery in order for the fat to be transferred to her hips and bum. Star is now attending therapy due to the stress and anxiety brought on by the implants. She said that the new plastic surgery "craze" is dangerous, and that she didn't realise how big the implants would be before she got them.